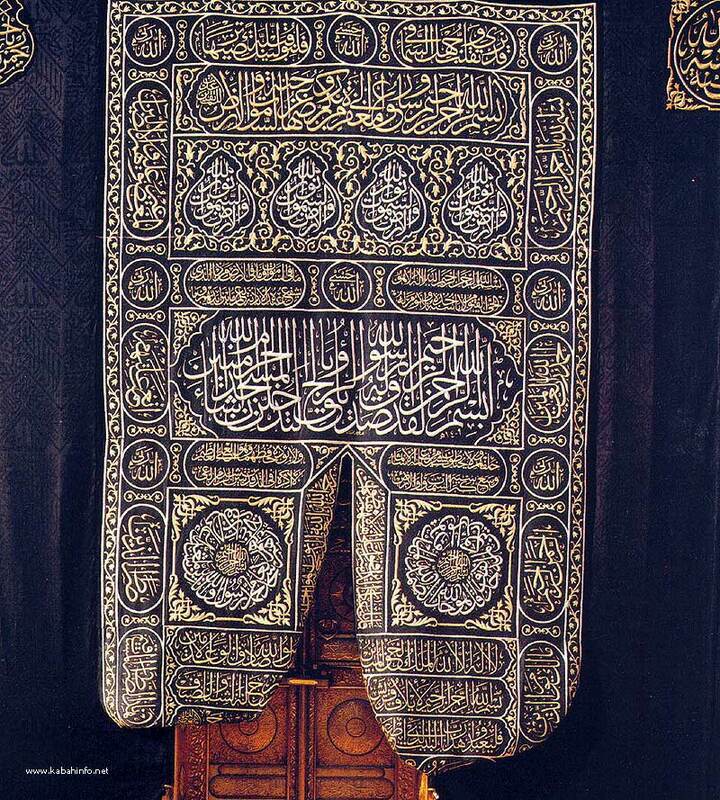 The Messenger of Allah (blessings and peace be upon him) covered the Holy Ka'bah in Yemeni cloaks. Then it was furnished with kiswah by Abu Bakr AI-Siddiq, Omar, Othman, Muawiyah and ][in AI-Zuhair (may Allah be pleased with them all). Over the years, others provided the Holy Ka'bah with kiswahs until its present design was formalized during the era of the Kingdom of Saudi Arabia. Adnan, the paternal forefather, of twenty generations, of the Prophet (blessings and peace be upon him), covered the Holy Ka'bah with a kiswah, and so did Khalid Ibn Ja'far lbn Kilab. The Holy Ka'bah used to be re-covered at any time and especially when the old kiswah was torn. Sometimes the Holy Ka'bah was provided with a new kiswah Iwo or three times a year. Later it became customary to re-cover the Holy Ka'bah with a kiswah on A'shura the first of Rajah, the 27th of Ramadan, the eighth of Dhul Hijjah (Tarwiyah) and the first day of Eid AI-Adha.